Welcome to Ventura County, California! If you’re looking to buy a home in Ventura County, you have arrived at the best possible place to view the most complete database of Ventura County real estate for sale. Powered by the Ventura County MLS, this site is the most powerful way for you to search for houses, condos, townhomes, lots and multi-family properties currently listed for sale. Interested in foreclosed homes, REOs, or short sales? You will find them here as well. RE/MAX Gold Coast REALTORS has been serving Ventura County since 1991. We’ve grown into the largest real estate company in Ventura County by helping more families with their real estate sales and purchases. It would be our pleasure to help you too! Ventura County has miles of gleaming beaches, thousands of acres of pristine forest, secluded lakes, rolling orchards and friendly towns. Just offshore lie a string of stunningly beautiful islands so unspoiled that they host animals and plants found nowhere else in the world. Nurtured by a warm and mild Mediterranean climate, Ventura County has an agricultural heritage visible today in the colorful arrays of fruits and vegetables available at roadside stands. Oil was discovered here in the 1800s, and many county companies still service the oil industry. The county has two major military bases, Point Mugu Naval Air Station and the Port Hueneme Naval Construction Battalion Center, which provide thousands of jobs. Other major employers include firms in tourism, retail trade, pharmaceuticals, software, multimedia and real estate. Agriculture remains a major business in Ventura County, which produces almost $1 billion worth of food crops annually. Farmers here grow 125 different crops and often harvest two to three crops from the same piece of land during the year. Lemons, strawberries and celery are the top crops. 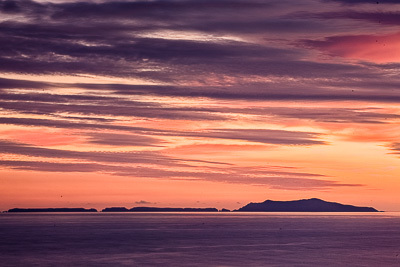 Ventura County covers 1,843 square miles and has 43 miles of coastline. The Pacific Ocean is its southwestern boundary, and Los Angeles County is to the southeast with Kern County to the north and Santa Barbara County to the west. The Los Padres National Forest accounts for the northern half of the county, with residential, agricultural and business uses in the southern portion. Ventura County has 10 incorporated cities: Ventura, Oxnard, Port Hueneme, Camarillo, Ojai, Fillmore, Santa Paula, Moorpark, Simi Valley and Thousand Oaks. The City of Ventura is the county seat. Other towns and communities include Bardsdale, Bell Canyon, Casa Conejo, Casitas Springs, Channel Islands Beach, El Rio, Faria Beach, La Conchita, Lockwood Valley, Meiners Oaks, Mira Monte, Mission Oaks, Newbury Park, Oak Park, Oak View, Piru, Point Mugu, Saticoy and Somis. 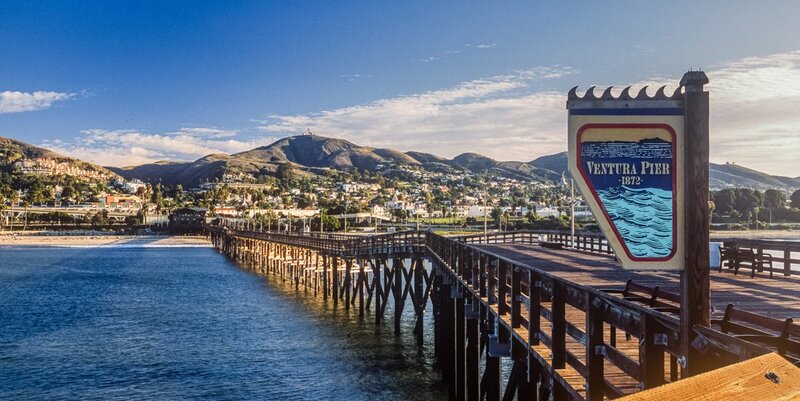 Over 800,000 people call Ventura County home. The populated southern portion of Ventura County can be separated into two major parts which are commonly referred to as West County and East County. West County, which is everything west of the Conejo Grade, consists of Camarillo, Oxnard, Somis, Point Mugu, Port Hueneme, Ventura, Ojai, Santa Paula, and Fillmore. 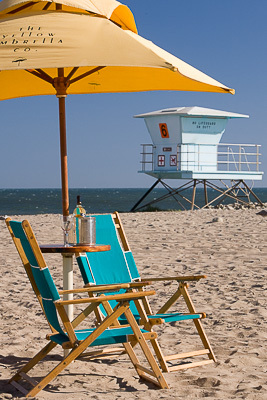 West County includes the first developed cities in Ventura County; Ventura, Oxnard and Port Hueneme which is also where all of Ventura County's beach communities are located and the Channel Islands and Ventura Harbors. East County consists of the cities located east of the Conejo Grade. East County, geographically, is the end of the Santa Monica Mountains, in which the Conejo Valley is located, and where there is a considerable decrease in elevation. Thousand Oaks, Newbury Park, Lake Sherwood, Hidden Valley, Santa Rosa Valley, Oak Park, Moorpark, and Simi Valley are all located in East County.